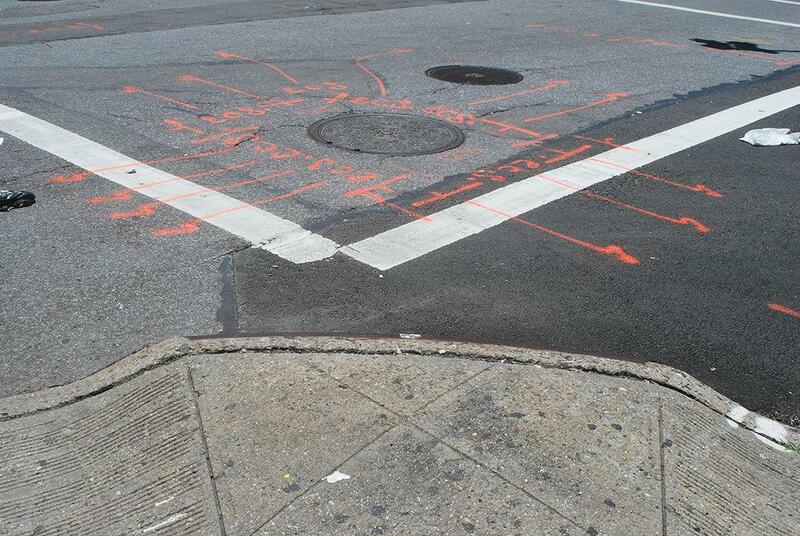 Orange markings on NYC sidewalks: Ingrid Burrington’s Seeing Networks decodes our infrastructure markings. 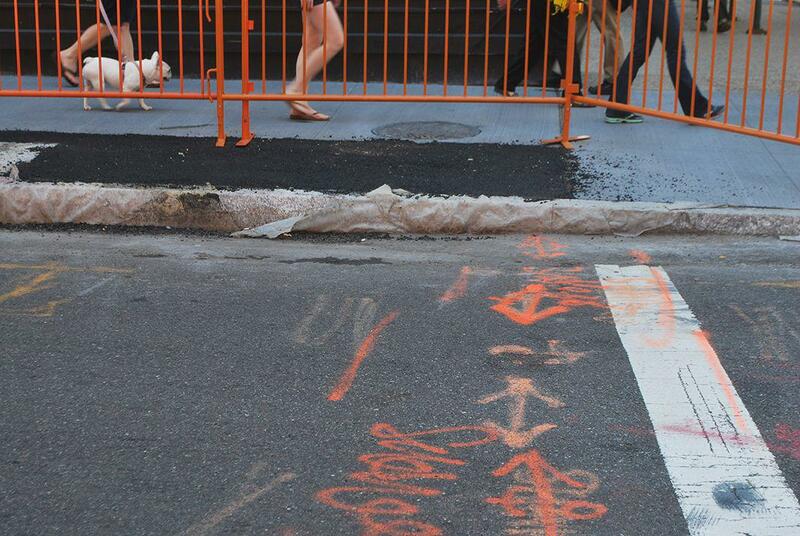 What Are the Orange Markings on NYC’s Sidewalks and Streets? Urban hieroglyphics on the streets of NYC. It’s time for another edition of What’s That Thing, Slate’s column that examines the details of the visible world that are hiding in plain sight. Send ideas for future columns, along with photos if possible, to whatisthat@markvr.com. Ever stop to wonder about those scrawled mashups of lines and letters marked out on the road in front of you? Many of these urban hieroglyphics indicate the underground presence of various telecommunications cables and conduits. They are easily overlooked visual reminders that our communications networks—which we increasingly access wirelessly—have an elaborate and often pervasive physical form. What do these orange street markings mean? For her Seeing Networks project, Ingrid Burrington catalogs, describes, and draws—by hand, in pencil—the street markings, manhole covers, antennas, and surveillance cameras scattered around New York City (with plans to include other cities in the future). “Markings and remnants of the network are almost everywhere, once you know how to look for them,” Burrington, currently a fellow at New York City–based Data and Society, told me in an email. 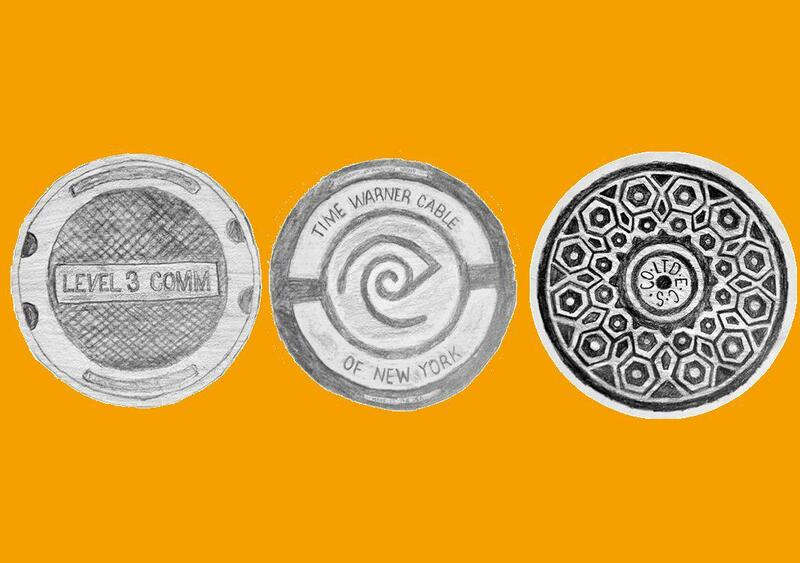 A sketch based on NYC manhole covers of Level 3 Communications, Time Warner Cable, and Empire City Subway. Burrington said she walks around the city snapping photos of things that catch her interest, annoying Verizon workers who happen to be standing in an open manhole, turning to Internet infrastructure experts like author Andrew Blum or looking up markings in the NYC Department of Transportation Street Works Manual in her quest to demystify the city’s infrastructure. One area of interest is what she calls the “messy, sprawling, and at times near-incomprehensible” world of cable markings—the transient, weather-beaten glyphs and texts that utility companies use to mark the locations of their underground cables for contractors or construction companies doing street excavation. 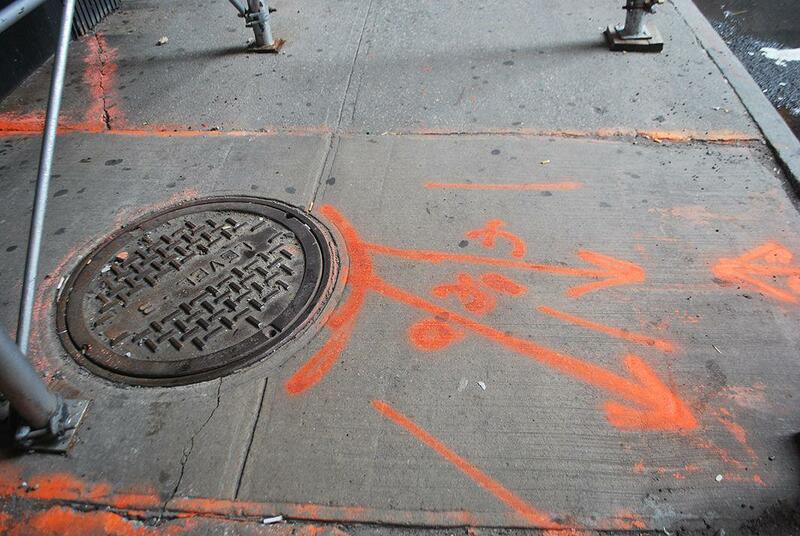 More mysterious street markings on the streets of NYC. New York City follows the federal color-code standard for sidewalk markings, she said. Orange lines mark Internet and television cables, telephone lines, or other kinds of conduits. “The markings are sometimes really sloppy, and often in fragments. Sometimes you’ll see several different labels in the same place. A lot of these cables are bundled up together running through ducts under the city,” she writes on her website. 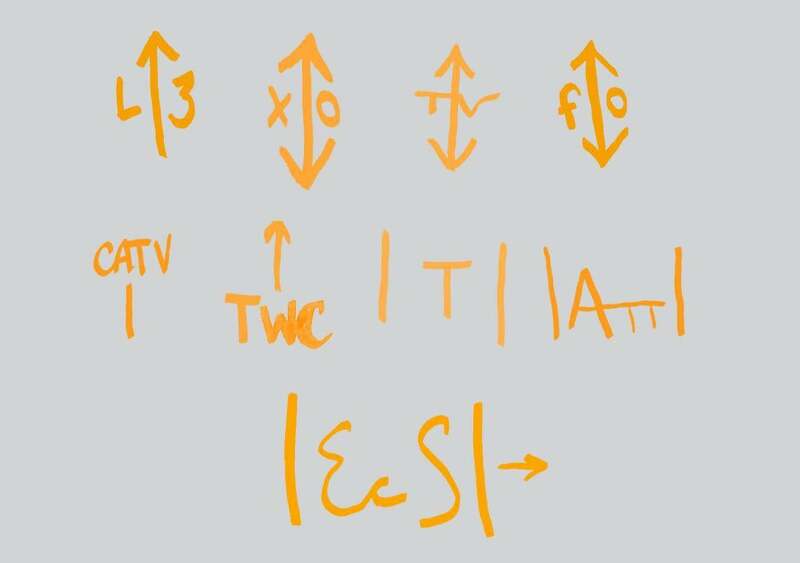 Burrington’s recreation of NYC street markings for (from top left): Level 3 Communications, an Internet service provider; XO Communications; cable television; fiber optic cable; cable TV; Time Warner Cable; telephone cables; AT&T; and Empire City Subway ducts. For more information about the cable markings, check out Seeing Networks. Burrington’s self-published book Networks of New York: An Internet Infrastructure Field Guide is available to pre-order. See something around the city, or the country, that you’re wondering about? Send a pic and description to whatisthat@markvr.com.